On Duty are posts where we highlight employees of TheFireStore who are not only committed to serving our customers throughout the workday, but also spend their free time serving in the industry they love. I'm the Sales Support Supervisor at TheFireStore, and I oversee the inside support team that supports the Outside Sales staff who are based out of our Abbottstown and Williamsport branch offices. Currently I am a Lieutenant serving with the Berwyn Fire Company in Pennsylvania. I have been a firefighter for about 8 years now. 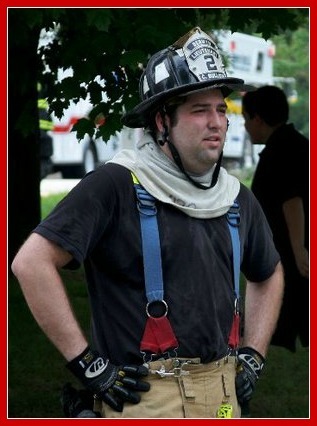 What do you love most about being a Firefighter/EMT? I would say that being able to help others and be involved with an organization that has such strong community ties. Also being part of such a strong brotherhood of people is a benefit that can’t be beat. I do, most of the time! It’s nice having a job that deals with something that is such a huge part of my personal life. Sometimes it can get a little overwhelming, but it’s what I know and love, so I always enjoy it in the end. Yes, definitely. Customers like being able to talk to someone who has experience actually using the products they are buying. Anyone can be a salesman, but in the fire equipment industry it makes a difference if you’ve actually had to use the tools you’re selling in an emergency setting.